1. 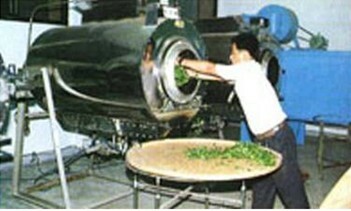 Roasted fresh leaves is in the use of high-temperature destruction of enzyme activity, stop the enzyme polyphenol compound oxide quality, making internal water evaporation in fresh leaves, grass gas development in the distribution of fragrance, while making qualitative change in the soft leaves, for the shaping process to create conditions for the shape of tea. 2. 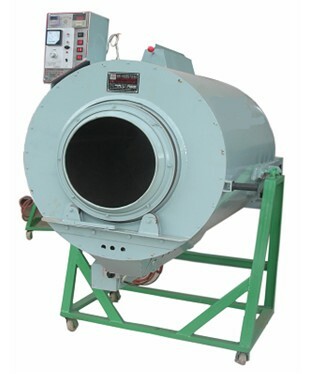 CTN6CWC-10 Liquefied Roasted machine is the introduction of Taiwan advanced technology research and development. The drum, transmission, chassis and component parts operation, there is even stir, warming fast and good quality Roasted. 1. Before roasting check the drive components and add oil to each lubrication point . 2. Press the start switch, so that spindle commissioning, open the gate liquefied gas, liquefied petroleum gas ignited, lights the fire to flourishing and stability. 3. 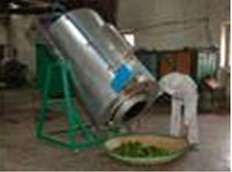 When the leaves port cylinder temperature reaches 280 degrees, you can vote leaves 5 - 10kg to be roasted. Much cast the leaves in the beginning in order to avoid coke leaves, and then observed from the Leaf-fixing case and adjust leaf weight. 4. When finishing roasting , under pressure, operation by the roller bar exit pressure, the tea is out automatically. 5. After finish roasting, shut off the gas valve, put out the fire, shut down, remove the barrel bruise leaf.